The provision can be used to great effect. Oakland’s Harborside Health Center was hit with a $2 million IRS assessment in 2011 after the tax agency employed Section 280E against. Harborside is fighting that assessment, even as it continues to try to fend off federal prosecutors’ attempts to shut it down by seizing the properties it leases. Similarly, when the feds raided Richard Lee’s Oaksterdam University that same year, it wasn’t just DEA, but also IRS agents who stormed the premises. Lee said it was because of a 280E-related audit. 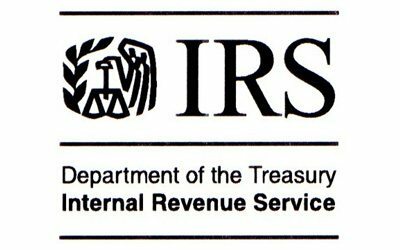 The attacks on Harborside and Oaksterdam were part of an IRS campaign of aggressive audits using 280E to deny legitimate business expenses, such as rent, payroll, and all other necessary business expenses. These denials result in astronomical back tax bills for the affected dispensaries, threatening their viability — and patients’ access to their medicine. “Should the IRS campaign be successful; it will throw millions of patients back in to the hands of street dealers; eliminate tens of thousands of well paying jobs, destroy hundreds of millions of dollars of tax revenue; enrich the criminal underground; and endanger the safety of communities in the 17 medical cannabis states,” said Harborside’s Steve DeAngelo as he announced the 280E Reform Project to begin to fight back. It’s going to be an uphill battle. In the last Congress, Rep. Pete Stark (D-CA) introduced House Bill 1985, the Small Business Tax Equity Act, designed to end the 280E problem for medical marijuana businesses, but it went to the Republican-controlled House Ways and Means Committee, where it was never heard from again. It’s a brake on the overall economy, Aldworth said. Benjamin Leff, a professor at American University’s Washington College of Law, raised eyebrows at a Harvard University seminar this spring when he presented his report,Tax Planning For Marijuana Dealers, where he suggested that dispensaries get around 280E by registering with the IRS as tax-exempt social welfare organizations, known as 501(c)(3)s or 501(c)(4)s.
“When taxes get too high, you can drive compliant dispensaries out of business,” Leff told the Chronicle. Americans for Safe Access’ Hermes would agree with that, but he’s not so sure about Leff’s idea. “I agree with everything he said,” Leff replied. “But it’s not just the Obama administration that is using 280E this way. The Supreme Court has held that there is no exception to the Controlled Substances Act for state-level legal marijuana sales, and since 280E makes references to Schedule I controlled substances, it applies to legal marijuana unless Congress changes the law. I totally agree that Congress should amend 280E to exempt marijuana selling that is legal under state law. Congress could also amend the Controlled Substances Act to remove marijuana from it, which would probably also make sense,” he added. Ah the myth that somehow the marijuana at a ‘pot shop’ is different than the marijuana from the ‘streets’. That is bizarre, thinking that marijuana is grown by either white lab coated folks or back trench coated folks. Hmmm. Federal Medical Marijuana Court Support and Press Conference with San Diego Mayor Bob Filner. Who: Federal defendant Ronnie Chang and his atty Michael J. McCabe Esq.